Switch on – Reach out – Party on. Live events require unique technology services and solutions to meet the demands of organisers and attendees. Temporary events held in locations with little or no infrastructure pose additional challenges. But there is a way. GET™ high density (HD) Wi-Fi will connect your event, production crew, media, security team and audience to the outside world. Our end-to-end event technology services are created specifically to meet the requirements of you and your customers. GET™ solutions go way beyond event Wi-Fi. Rapid deployment of all the networking, fibre, and power to enable not only Wi-Fi but any service which can benefit from a 10Gig redundant fibre platform. 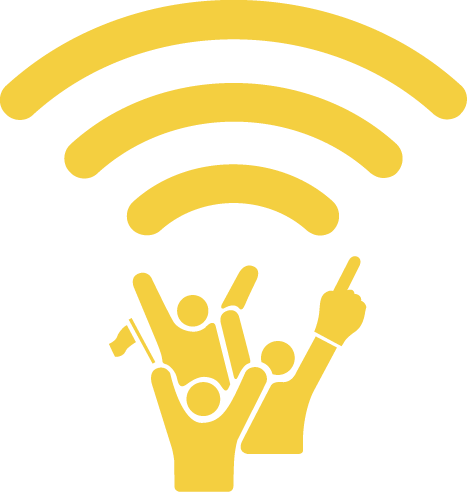 Indoor, outdoor, greenfield, stadium, pop-up or permanent, our Wi-Fi has covered it all. From a temporary sporting event with over 300,000 spectators to a more intimate VIP media event, we have provided solutions in over 20 countries. As users require bandwidth for more media rich applications, the challenge to the event organiser is keeping up with demand. For anyone who has already committed to a wireless deployment, simply adding new access points to increase bandwidth is not always possible without a negative impact on the original solution. GET™ not only provide the latest generation HD Wi-Fi but the technology makes it simple to add additional APs as demand or budget increases, without any impact on the original deployment. Upgrades in proportion to the requirement. If you’re serious about your event being a success GET in touch.